They know. The Tar Heel defense knows that for the first time in Larry Fedora’s tenure at Carolina, it is their side of the ball that will carry the weight of expectations for the season. It is their side of the ball that brings back the experienced playmakers. It will be on their shoulders, the foundation upon which the 2017 team will be built, for better or worse. 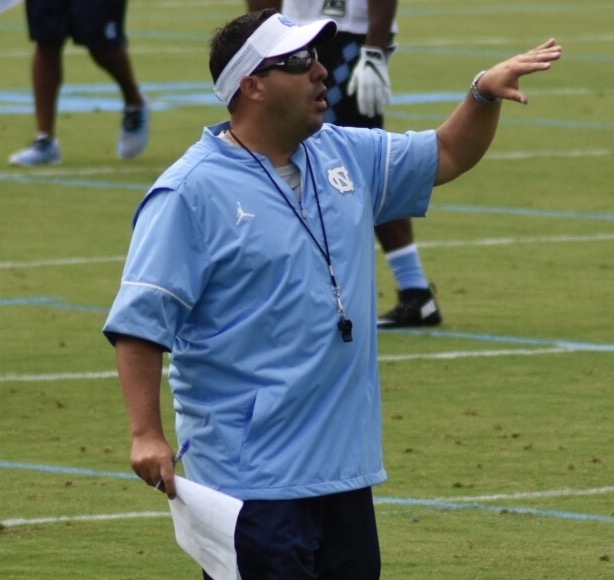 And so, in their third season with John Papuchis –the newly-promoted defensive coordinator upon the retirement of Gene Chizik– the Tar Heel defense will have to play to their potential, and with a contagious confidence that can spread to the team as a whole. It is refreshing to hear such boastful confidence from a player on his first day of training camp, particularly one who will be a leader on a unit that will be relied upon like never before to set the tone for the season. Now is the time for growth, for installation of the offensive and defensive schemes and for coaching on technique, nailing down the details that will ultimately be magnified and make the difference on game day. There is not a lot of room between a minimal gain and a tackle for loss, or a game-changing turnover and a game-changing touchdown. And so the attitude that the defense brings to training camp will show up on the field. The foundation for the season will be laid now, in August. And while the defense does bring back veterans, they also bring in a raft of young athletes eager to see the field, eager to prove themselves and carve out a role. That motivates the young players, yes, but it also helps the more experienced players to sense someone breathing down their necks. So, just as the team and defense have large goals: winning games, winning series, winning drills; the individual players do as well. Smith wants to lead the team in tackles, and he claims that if not for missed time due to suspension and injury a year ago, it would be he, not Cole Holcomb, atop the 2016 leaderboard. So they’re bringing that dog mentality, but even then, it must be measured. While, as senior safety Donnie Miles said, “The dog should always be out, in my eyes,” one can’t be cocky and wrong, else he will be made to look a fool and be shown the bench. They’d only had the one training camp practice before speaking to the media; the Tar Heels will take the field again Thursday through Sunday, and the process continues. But it’s clear that the leaders have the dog mentality and they are capable of developing –and confident in– the young pups. And they’re excited about what can be achieved in 2017. After a scrimmage, the Tar Heel defense gets to work.